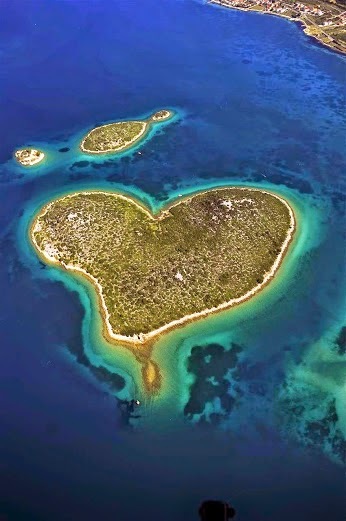 Galesnjak (also called Island of Love, Lover's Island, Otok za Zaljubljene) is located on the Croatian Adriatic between the islands of Pasman and the town of Turanj on mainland Croatia. Throughout the world, there are only three islands in the shape of heart. Only Galesnjak never changes its heart shape.